London Lakes is famous for its cuisine. 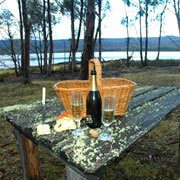 By arrangement, we can still arrange catering whereby we combine fresh Tasmanian produce with wonderful Tasmanian wines to complete a private wildlife and fly fishing experience equal to anything in the world. 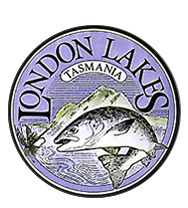 We can feature seasonal Tasmanian produce at London Lakes including free range highland eggs, fresh vegetables, wild trout from our lakes, game meats, quality Tasmanian smallgoods, native pepper berries, fresh raspberries and strawberries. To complement the larder, we have a carefully selected cellar of Tasmanian wines, most notably a range of cool climate Pinot Noir from some of the state's lesser known but world class vineyards. We can provide a package in which meals covered by the tariff include a hearty breakfast, fisherman's/hiker's lunch and a three course fine dining evening meal that is shared in the warmth of an open fire. 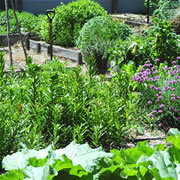 Alternatively, our rates can be adjusted for providoring or for you to arrange your own meals. "This fishery is incredible. It combines the best of trout fishing and salt-water flats fishing. Seeing the huge wake of a five-pound brown trout coming toward your dry fly has to be one of the most exciting visuals there is in fly fishing!!! 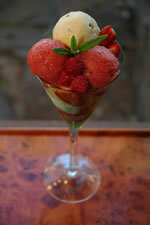 The food is better than any other lodge I have stayed in."